When the gallery lights go down – the fun turns up! Join us for Art After Dark following the Downtown Charleston Art Walk! Admission is FREE and includes live music, a hands on activity, access to the Juliet Art Museum, and Suddenlink by Altice Art Space. April Art After Dark features the Juliet Art Museum Invitational and the opening of Re-Collection, a collaborative art exhibition with students from Marshall University. 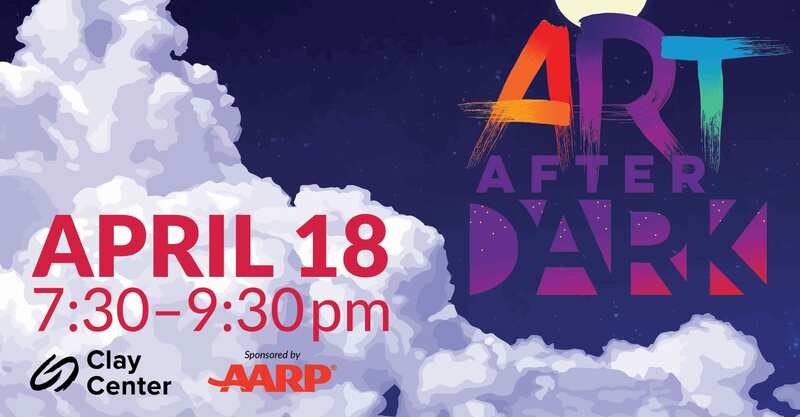 Thank you to AARP WV for their continued support of Art After Dark.